A word used to denote action e.g. go, run, meet, eat, sit, think etc. There are two types of verbs: transitive and intransitive. (i)	Transitive verbs: These are the verbs which have some sort of impact on their object. For example: He returned the application. 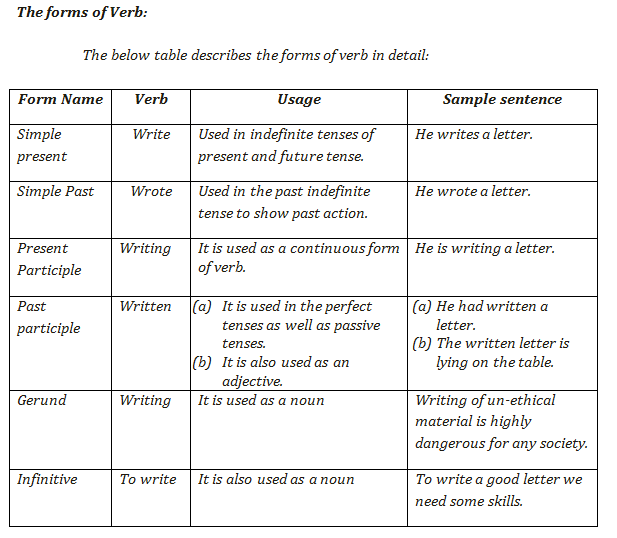 (ii)	Intransitive verbs: These are the verbs which have no impact on their objects. For example: He went to school. Note: Only transitive verbs can be turned into passive form.